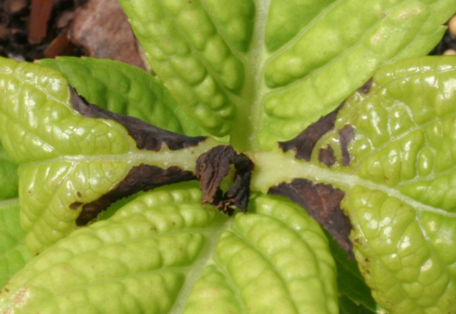 Herbicide injury caused from cellulose-inhibiting herbicides such as indaziflam and isoxaben. Abnormal root and shoot tips. 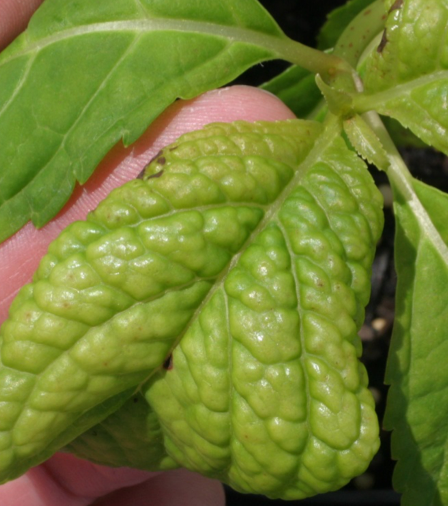 Mottled, puckered, chlorotic foliage and growing points. Roots may be swollen or have encircling necrotic bands just behind the root tips. Susceptable seedlings often do not emerge from the soil. Indaziflam may cause soil line girdling with occasional stem swelling just above the girdle on susceptible plants. 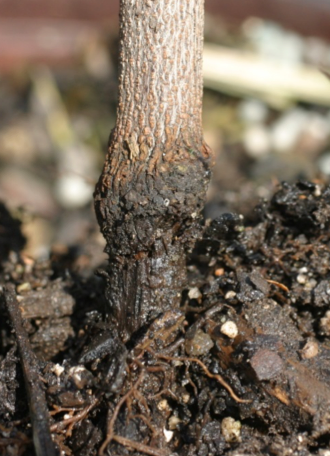 Girdled stems often result in wilting followed by browning of entire above-ground portion. Isoxaben injury to Hydrangea. Non-treated on left. 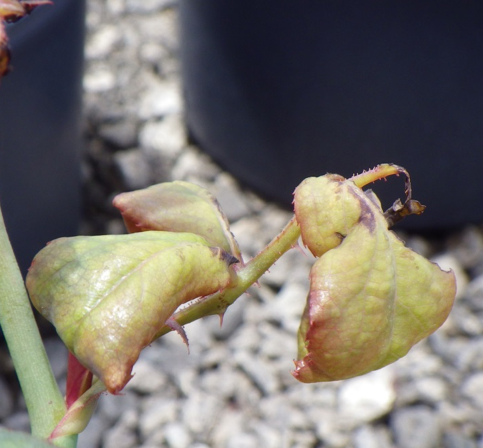 Knockout rose tender young foliage is damaged by over the top spray application of indaziflam. Note the “puckered” foliage as well as tip necrosis. Photo two weeks after treatment. 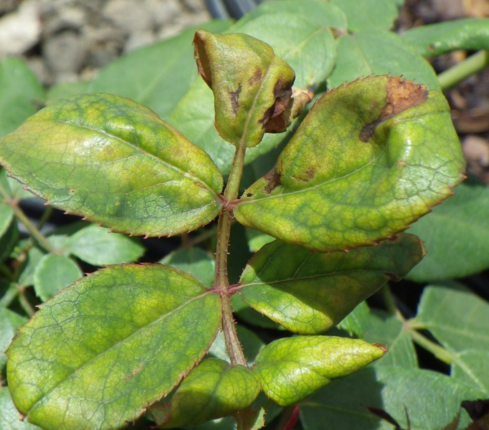 Knockout rose foliage injured by over the top spray application of indaziflam. Photo two weeks after treatment. 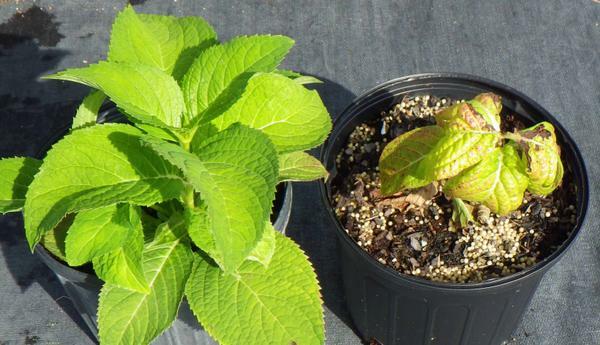 Isoxaben injury to hydrangea foliage. Note older leaves are unaffected. Isoxaben injury to hydrangea. Tip necrosis forms within two weeks of over the top application. Normal foliage of non-treated hydrangea. 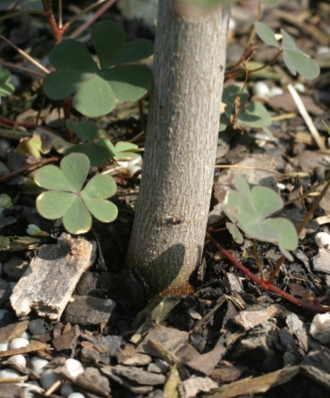 Red maple stem – normal stem growth. Red maple stem girdling caused by an overdose of indaziflam. Stem girdling by indaziflam over-dosing results in sudden death of above-ground tissues, usually in hot weather. Non-treated on left, treated on right. Isoxaben injury to lantana -- 2 weeks after treatment. 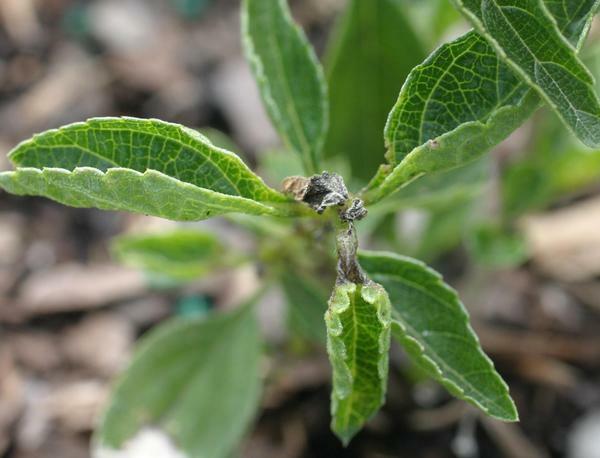 isoxaben + prodiamine injury to rudbeckia. 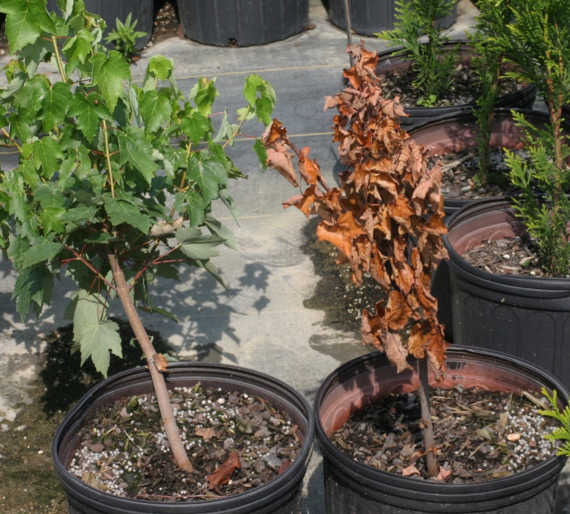 Cellulose inhibitors may affect both roots and shoots. Herbicides with this mode of action are usually applied prior to weed emergence but may cause injury to emerged and established plants by foliar absorption, inhibition of root growth, or stem girdling at or just above soil line. Roots and/or tender new shoots are injured within a few days following application. Soil movement is minimal and volatilization and photodegradation are not a concern. Stubby roots caused by dinitroanaline herbicides such as oryzalin, pendimethalin, prodiamine, trifluralin. The reduced root size and number caused by the mitotic inhibitor dithiopyr, a pthalic acid. 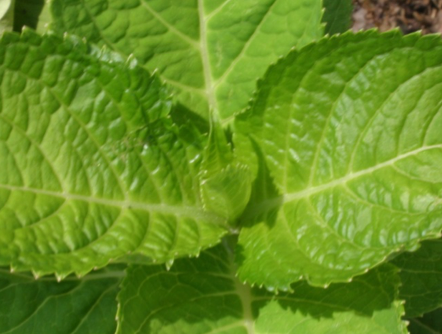 Puckered, curled and mottled foliage may be confused with damage from dinitroanaline. Herbicides or sucking insects (such as aphids). 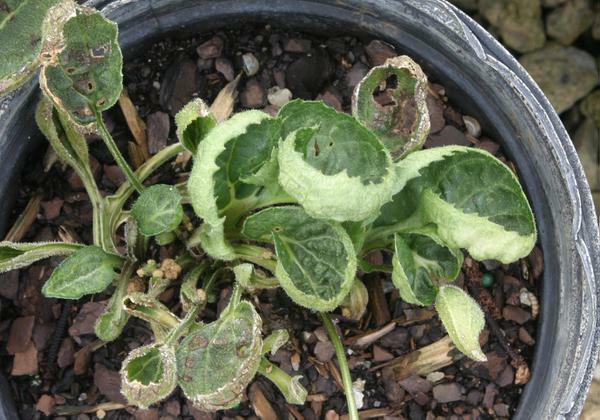 Mottled foliage may sometimes be confused with nematode, plant virus and/or nutritional disorders.